With cooler weather coming to the Rockford region, now is the time to get out and explore the natural wonders that the area has to offer. 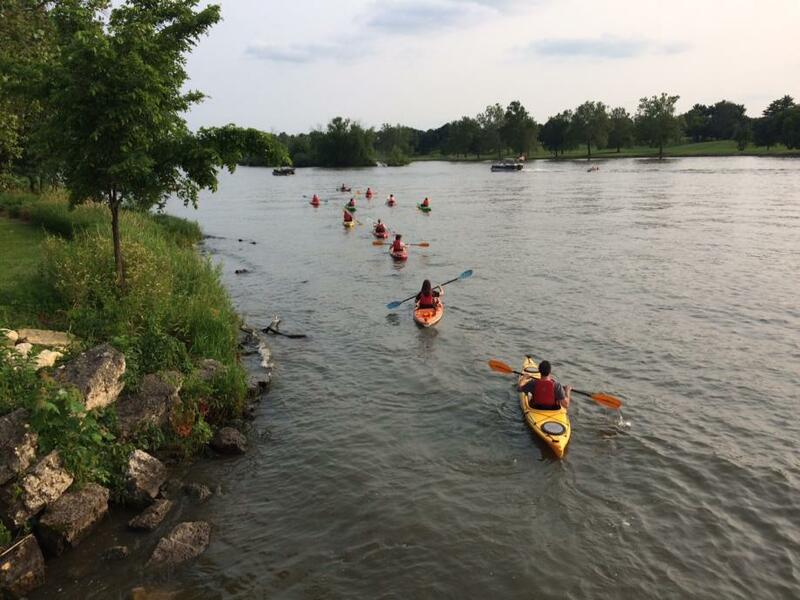 Whether it is canoeing the Rock River or hiking at the Forest Preserves of Winnebago County or Rock Cut State Park, there is plenty to see and do. One of the leaders in outdoor exploring in Rockford is Rocktown Adventures located in downtown Rockford. The specialty outdoor retailer and adventure club offers sales, rentals, lessons, guided trips and related apparel for kayaks, canoes and stand-up paddleboards and Nordic skiing and snowshoeing in the winter. The store carries camping equipment, lifestyle apparel and transportation equipment such as roof racks and trailers. General Manager Kevin Versino took some time to tell us more about the store. What’s your background? I am an avid outdoor recreation enthusiast. Formerly I was a commodity trader in Chicago and a project manager for SupplyCore. Rocktown Adventures was established to promote our community&apos;s natural recreational assets while simultaneously promoting Rockford as a great place to work, live and play. For Rocktown owners, the company is an urban revitalization play, not a retail play. We want to use outdoor recreation to drive consistent, repeatable traffic to downtown. What’s the response been like from the community? RA opened Nov. 1, 2014. Response has been great when people find us! As we have moved along from our opening in 2014, we have seen increased participation in our events and increased interest in outdoor recreation in general. People are excited a store like this exists in Rockford. Now it is up to us to promote the recreational opportunities available right in our backyard and provide the opportunities for people to engage in outdoor recreation. What sets your store apart from other retailers? We carry brands that excite your outdoor passions. You can&apos;t find what we sell anywhere else in Rockford. The equipment and apparel we sell is also used by our staff in their own outdoor recreational pursuits, which provides authenticity when we speak with customers. What type of regional draw does the store see? We do attract people from all over the region. Due to the unique nature of the products we carry, we have had customers from as far away as Ohio drive to our stores. Of particular interest to Rocktown is that we want to attract from the Chicago market. What is the most popular item/service that people come to you for? Most popular item is seasonal driven -- paddlesports in summer, cross-country skiing in winter. What has evolved as we have moved forward is an increase in participation on paddle trips. Should Mother Nature cooperate one of these years and provide a snowy winter, we would see the same for ski outings. So the thing that has stuck out the most in the almost two years that we have been open is people want to engage with the outdoors; they just need the platform in which to engage. This is where Rocktown provides value … we sell, rent, instruct and lead trips. Why do you think recreation should be a critical part of people’s lives? Recreation should be a critical part of people&apos;s lives because studies have shown getting outside is good for you. Increased focus and reduced absenteeism are a couple of business-related benefits. Also, learning a new skill provides confidence, which can be applied to learning new skills in the workforce. Shared sense of accomplishment enhances bonds among team members. Why do you enjoy what you do? I enjoy what I do because at the end of the day, we sell fun. We provide a vehicle for people to enjoy life, to engage in memorable, repeatable experiences. Rocktown Adventures is open 10 a.m. to 8 p.m. Tuesdays through Fridays, 10 a.m. to 6 p.m. on Saturdays and 11 a.m. to 5 p.m. Sundays, as well as by appointment. For more information, go to www.rocktownadventures.com.